location perfect. 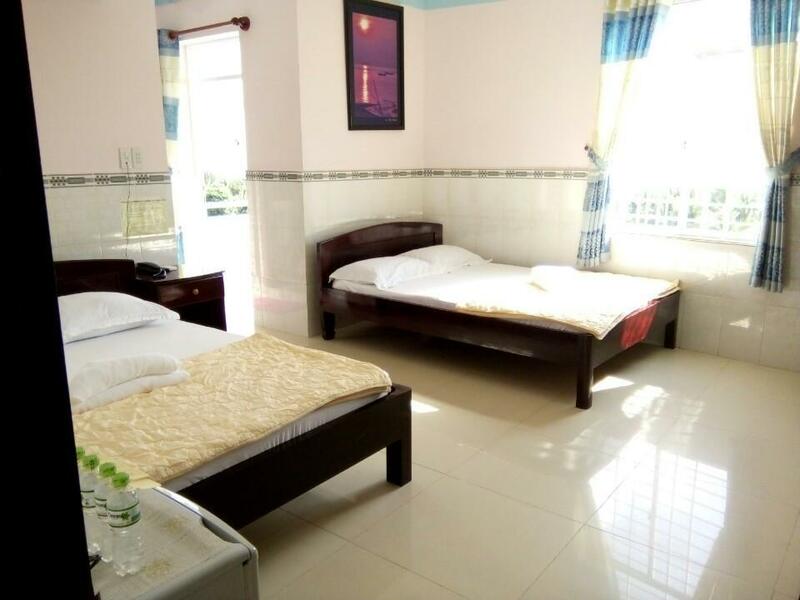 very clean.nice room.staff nice . no breakfast or coffee at the hotel, but walking some minutes you can get all. beach just crossing and walking some meters/ good to walk to town and market. wifi and air conditioner very good. Good. Clean and great value. You get what you pay for. It's such a nice place to stay, close to the beach and a few minutes to walk into town. I had a great view of the ocean from my window and balcony. The hotel is very clean. This was my third time staying there. We booked this hotel online as it was close to the night market and cafes. The room and bathroom were spacious and clean. 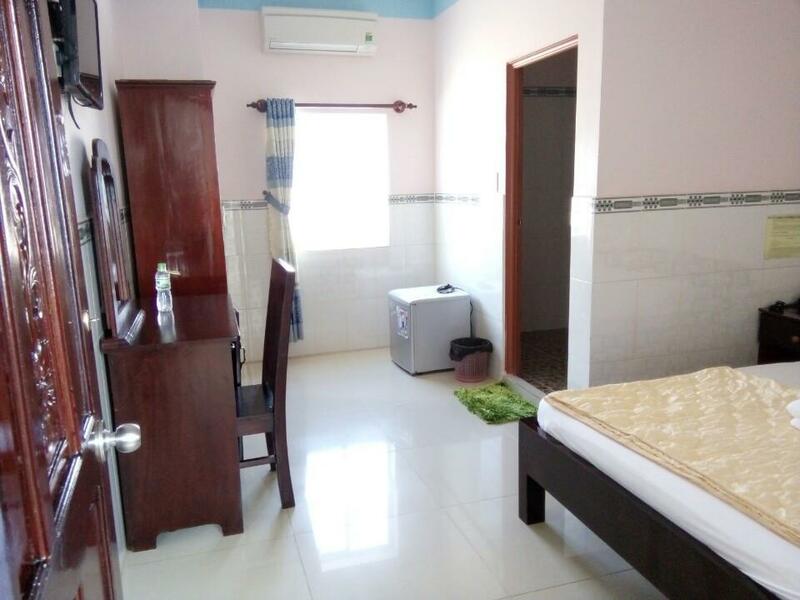 We had cable TV, aircon.mand also had a fridge and safe in the room The staff were friendly and we gave us discounts for local tours booked with them. They also arranged motorbike hire for us. A typical city hotel, next to the road but not far from the nice beach - just cross the street and you are there. We had room with long balcony, room was small but comfy and clean- housekeeping was at daily basis. I really enjoyed balcony from where you can overlook sunset. If you need to rent a motorbike and all rental companies are run out of motorbikes there is a small repair shop on the opposite side of the street - just go to the right and down the hill - and you can try to rent a motorbike there. I really like this little hotel. This was my second time here. First I was given a room next to a heavy smoking room. But the next day I got to change rooms and got a lovely sea view. Location by a road that you have to cross to get to the beach. Good location both for access to the beach and close to the town and the seafood evening market. Lovely owner. Will come back again! This was a nice small hotel with friendly staff. The location was excellent as you were just across the road from the beach. You are about a 5min stroll down to the night markets and the main part of the town itself. Only drawback was no lift. hotel is on one of main street, close to center or nightmarker. long beach is just on other side of road if you pick up room with balcoby, you will have a nice view. staff has problen with english, just owner has some level, but she was very kind and tried to help, so we booked boat from island with her. cleaness was good, just few small lizzards :) huge cockroach was worse.. Perfect location, just meters from the beach. Located at the north end, daily we walked the beach end to end, the centre is the opposite direction for dinner etc, so it's the perfect location the in the middle. Balcony room was still quiet at night. Room very clean and comfortable. By far cleanest room we have seen. Air con, fan, fridge, immaculate bathroom. Hostel wasn't busy so we were given a room with an ocean view balcony. Staff super helpful, a translating page at reception made t easy to borrow tape, get more towels, toilet paper etc. To exchange money she looked up the exact rate online and gave us the fairest rate(22,500 at the time when many places set a standard 20,000 or 22,000). We were even allowed half day rentalswotj motorbikes-as a full day is a little too much for us. This was a budget hotel that we stayed in for 2 nights. 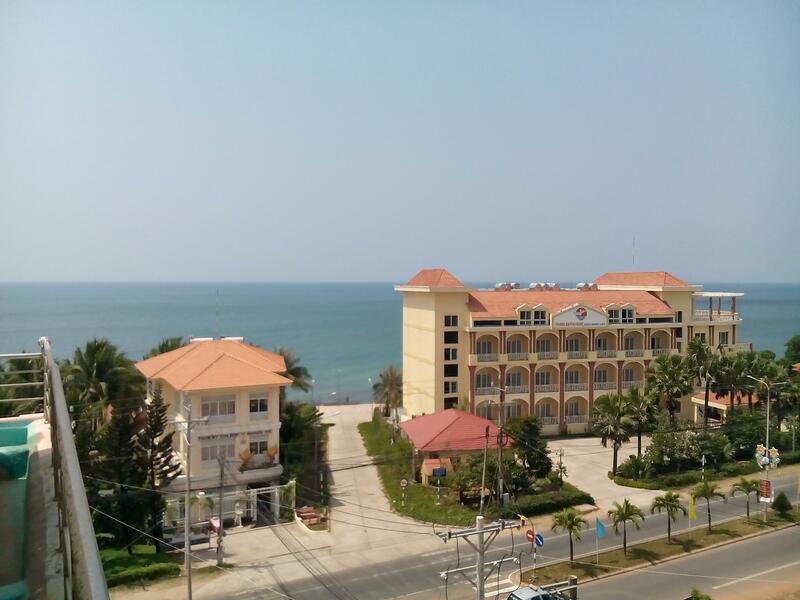 It served it's purpose as allowing us to orientate about Phu Quoc before deciding which part to stay in after. Was walking distance to eating places but there would be better located places to stay for this. Room ok, though had insects.... We were stuck on a higher level though. And this hotel has no lifts. Not on the beach but right across from one of the few pathways that provide beach access. walking distance to night markets and township. 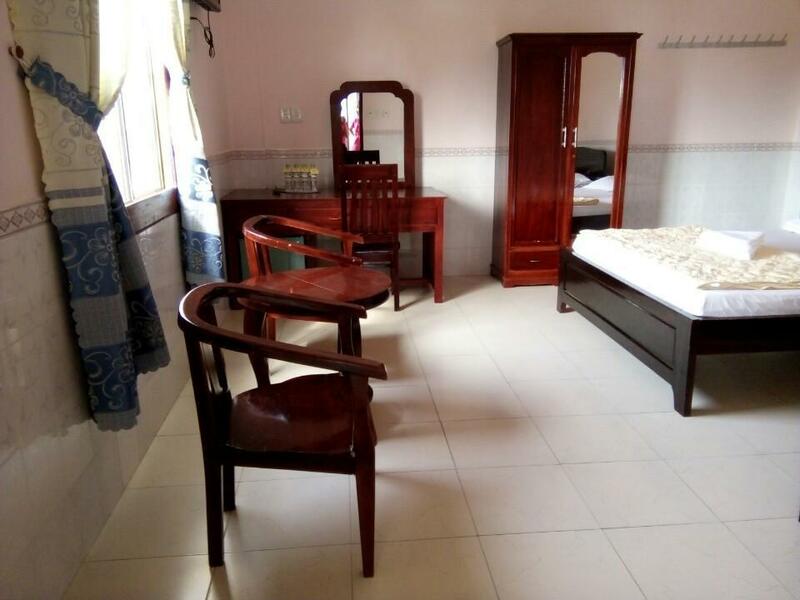 Rooms are large, simple and clean, Staff are very helpful even when the difficulties of different languages are encountered. No breakfast but there are some very good eating places within a couple of hundred metres. The motel is quite old but very well maintained. Plenty of hot water, great wifi and air conditioning. A pool would have been welcome but type of extra must be balanced against the additional (read much higher) cost for motels providing this type of facility. I would sty there again. The room was big and airy. The bed was a little hard but good enough to sleep on. The bedding was very clean as was room which was cleaned everyday and fresh towel's were left daily. The beach and town are close by in walking distance. The only negative was that the staff started work at 6.00 and were extremely noisy. They need to respect that customers don't want waking up at 6.00 in the morning. The hotel was very quiet - we had an inside room with a window and A/C and a small fridge. Locations is very convenient to all of the things to see and do. The staff spoke good English and were very helpful. Overall, we would DEFINATLEY stay again. When we arrived at this hotel there was a massive pothole out front filled with water we had to jump over to get it. The whole island seemed to be under construction so we thought we would deal with it. We checked in and went to our room which was ridiculously basic. The mattress doesn't stretch the size of the bed. We were given 1 tiny blanket the im sure was for a single bed because it covered half the double bed. We're not overly fussy so again we thought we would deal with it. When we left to take a look around we asked the receptionist ideas on where to go as she had no idea what we were saying and just pointed out the front door. We were dissapointed with the island in general because it is completly under construction but we had to make the best of a bad situation. When we got back to the hotel later that night at 10.30pm the gates were locked and we had to ring the buzzer and wait for someone to let us in... At 10.30??? I felt so guilty waking the person sleeping up and thought that was so early to close the gates. The next morning was the final straw when we were woken up at 6am (after travelling for 10hours the day before) by loud banging from every angle. Above us, next door, outside. We were so angry.. Looked outside and there were about 3 staff members pulling stuff in and out of a bedroom right next door. We checked out that day and found another hotel 5 mins walk for the same price and double the quality. We were supposed to stay 10 nights and could barely manage 1. Stay was awesome. Located 1 minute away from long beach and about a 5 minute walk to the local night market and many restaurants. The owner was very helpful and speaks good english. House keeping was also great. Rooms always very clean. I would most definitely stay at this location again if i return to Phu Quoc. My boyfriend and I stayed a total of five nights here.